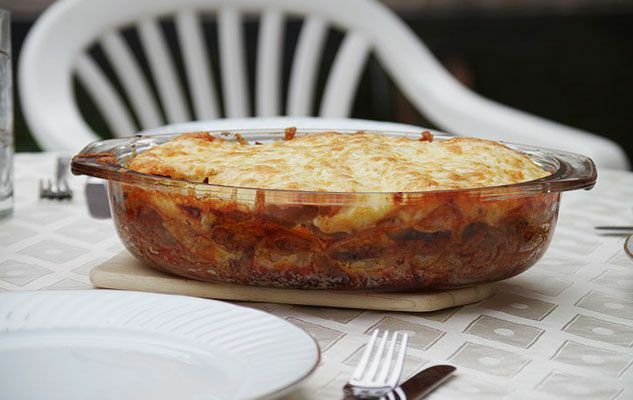 The Guinness World Record of the biggest lasagne has been broken last week in Poland. An Italian restaurant in Krakow has created a gigantic meat feast to celebrate the Italian soccer team, headquartered nearby during the Euro Soccer Championship. A team of 10 chefs worked around the clock to create the colossal 4.8 tons-lasagne, which took over 10 hours to bake before being sliced into more than 10,000 servings!!! It is not known whether or not the Italian players sampled this dish. However, it may have brought them luck as they eventually qualified to the semi-finals, when they will face the German team next Thursday. Guess who I’m rooting for… Forza Azzurri!